[toc]A persistent cough is the predominant symptom of lower or upper respiratory tract infections. When irritants along with air are breathed through nasal passage and bronchial tubes, these inhaled particles are expelled out with natural reflex action of coughing. The organ systems are closely associated and the respiratory system and the circulatory system work in tandem. Therefore, the heart, a key organ is bound to influence the functioning of respiratory tract, more under specific cases. 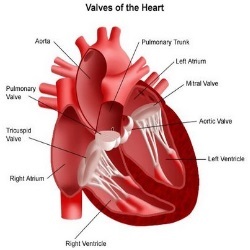 Heart pumps deoxygenated blood to lungs and then the oxygenated blood is pumped to different parts of the body. Any alteration in pumping activity of heart my cause lung congestion and build up of fluids in lungs or/and heart, giving rise to coughing, wheezing or shortness of breath. The two major forms of cough that can appear are acute and chronic cough. Acute cough occurs for less than 3 weeks and is likely to be caused by respiratory infections. A chronic cough is form of coughing that occurs for more than 3 weeks and may be caused by a heart disease. It is important to get a heart check up, when an individual experiences a chronic cough. Coughing is the most common symptoms of heart failure that is usually mistaken as a usual cough or respiratory trouble. During coronary disease, pulmonary congestion occurs because of inability of left ventricle of heart to pump blood efficiently. This causes the blood to flow back to left atrium and then carried by pulmonary veins into the lungs, building up fluids within the lungs. When large amount of fluid gets accumulated into alveolar sacs, it adversely hampers functioning of lungs. This results into pulmonary congestion with major symptoms as coughing, wheezing and loss of breath. Here, coughing is caused in lieu of clearing the air spaces. 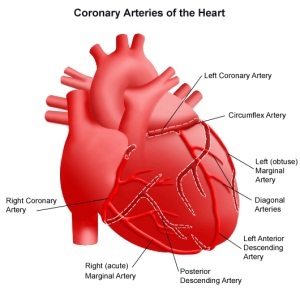 Weakening of heart muscle (myocardium) during coronary artery disease makes it difficult for heart to pump blood and is the commonest cause of congestive heart failure. Persistent Coughing is one of the common symptoms and is accompanied by wheezing, oedema, heaviness in the chest, shortness of breath, fatigue and weakness. At times, people with heart failure may cough up a thick, mucosal substance tinged with blood (phlegm) that is associated with infection of lungs like pneumonia. The obstructed lungs find it difficult to perform breathing and hence, one fall short of breath. When one experiences a severe and persistent cough or wheezing with difficult breathing process, then it is a signal of worsening heart failure and one must visit the doctor. On the contrary, a dry and persistent cough can be the result of side effects of medicines like ACE inhibitors used to treat heart failure or high blood pressure. In individuals with congenital heart disease, the risk of developing respiratory tract infections is higher. A cough with mucus and phlegm will be the major symptom along with chest tightening and wheezing. Though, cough is usually a major symptom of respiratory infections but it can be caused by various heart diseases like congestive heart failure. 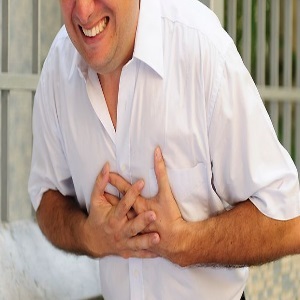 Therefore, individuals suffering from a persistent coughing accompanied by other cardiac symptoms must go through a thorough heart check up to avoid heart attack and save a life.